The Office of Faculty Development and Diversity offers information, programming, and advice to departments on a variety of topics. Some of the most requested are listed below. Recruitment: Specific tools and ideas for planning, conducting, and evaluating searches for faculty candidates. The resources are based on research and on institutional data; they highlight best practices in academic recruitment. 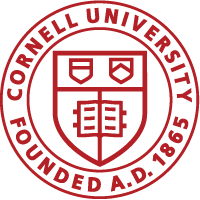 Retention: General resources for departments, mentors, and new faculty members, as well as guidelines and best practices collected from various colleges at Cornell University.